BLOODLEAF by Crystal Smith is a dark and amazing retelling of the Goose Girl fairy-tale. 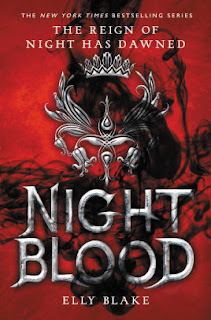 Check out my full review on Goodreads. 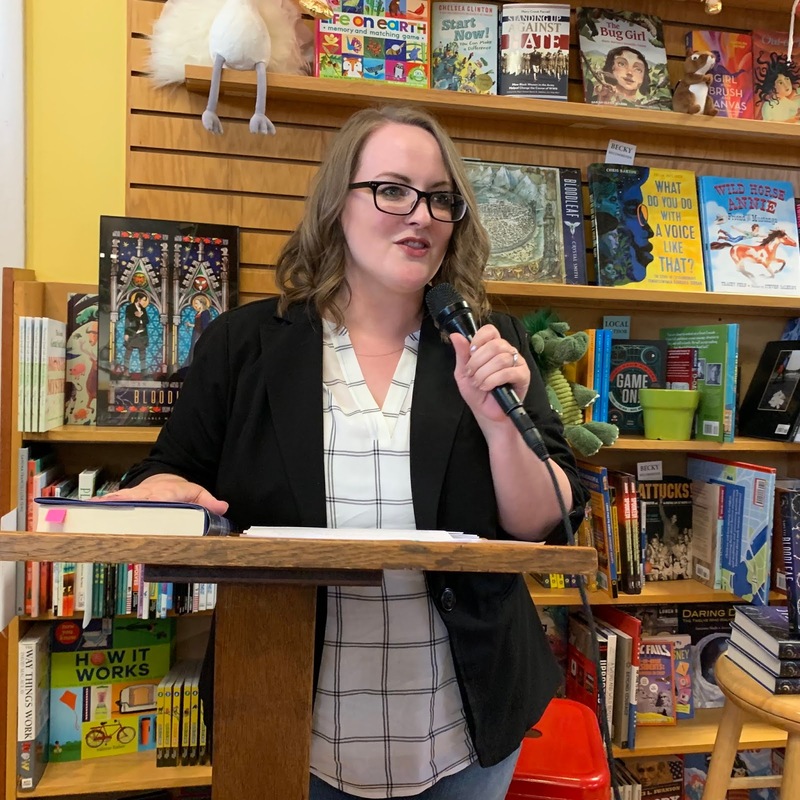 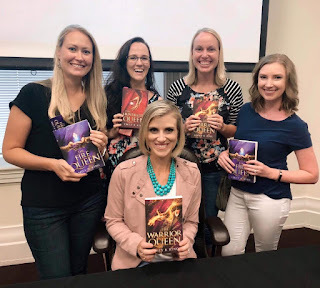 Her launch party at the King's English Bookstore in SLC was so much fun! 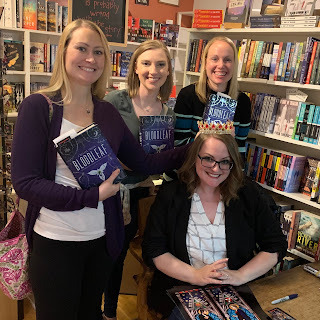 And I got to attend it with two of my other favorite authors: Erin Stewart and Tiana Smith. 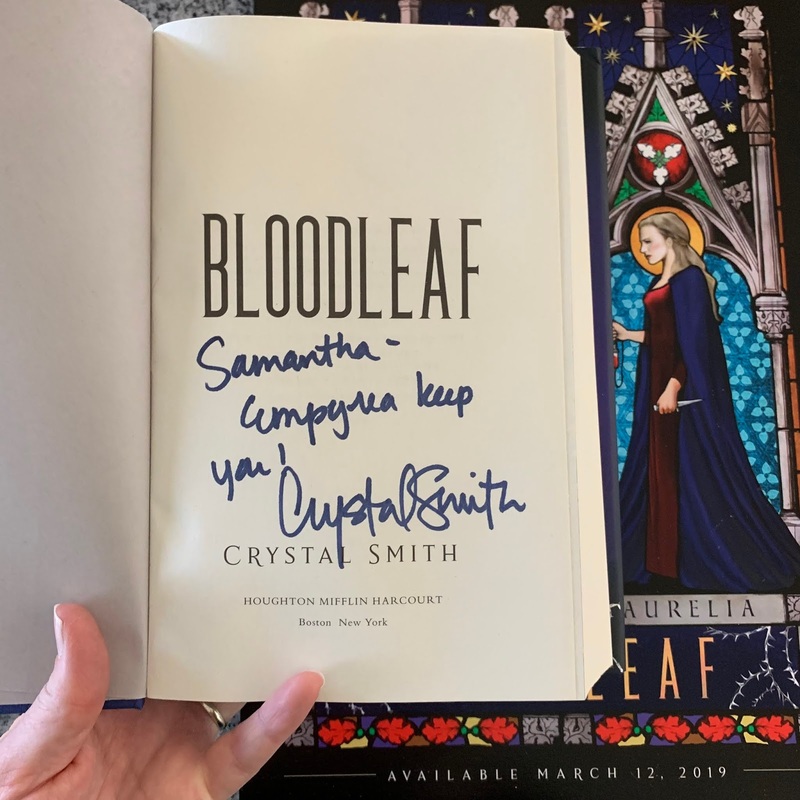 Crystal is so talented! 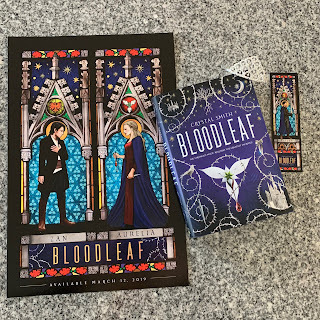 Not only does she write incredibly fantasy, she also created her own artwork for this poster, bookmark, and the concept for her cover. 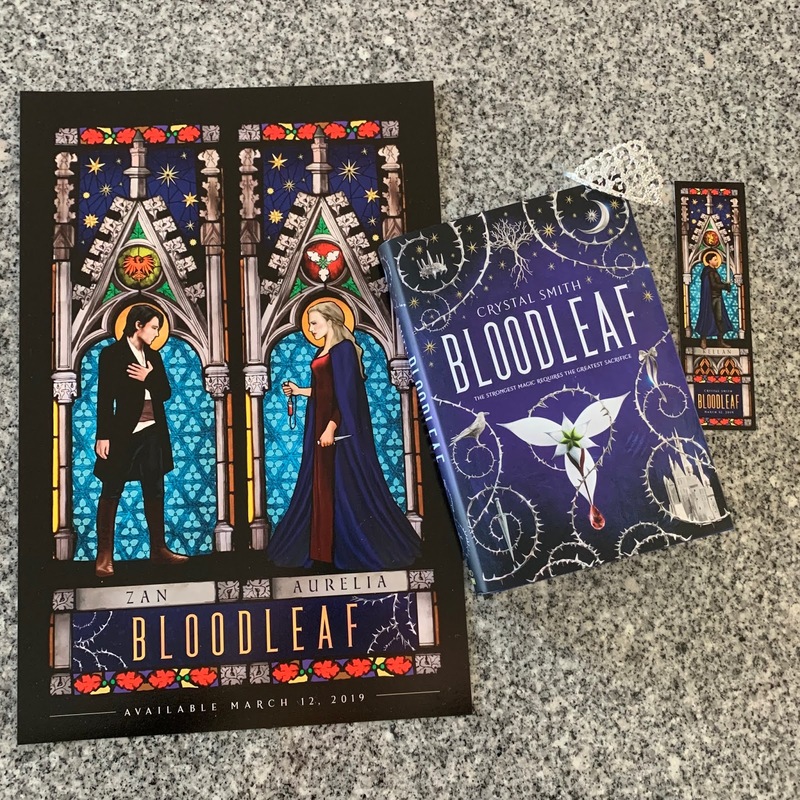 If you're looking for a new favorite series, look no further!